Huawei has been having quite a lot of fun with its budget-segment devices as well as their ‘P’ series which has grabbed a lot of attention for its camera capabilities. It all started with the P20 and the P20 Pro which had everyone scratching their heads over how powerful its cameras were. However, it did compete against the likes of Pixel 2 and the Pixel 2 XL. Now, after months of constant leaks and rumors here and there we are able to see the Huawei P30 and the P30 Pro in all its glory. After just a few weeks of unveiling the device all over, the second largest smartphone manufacturer has today, launched the new Huawei P30 Pro here in India. An event was scheduled for today, Tuesday, 9th April wherein the company announced the launch of the Huawei P30 Pro alongside the Huawei P30 Lite which basically is a stripped down version of the former. 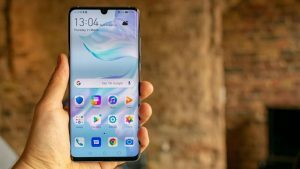 The Huawei P30 Pro is much similar to the P20 Pro from yesteryear in terms of looks and, however, the color variants this time around is much better and wider. 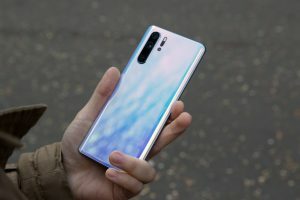 The Huawei P30 Pro sports a 6.47-inch OLED display which comes with an “ultra-small notch” which kind of resembles the waterdrop notch. The notch houses the 32MP selfie camera. Also, to the front is the in-display fingerprint sensor which seems to be the trend every company has started adapting too. One more exciting feature that the display comes with is the ability to use the upper half of the screen as a loudspeaker instead of the earpiece. 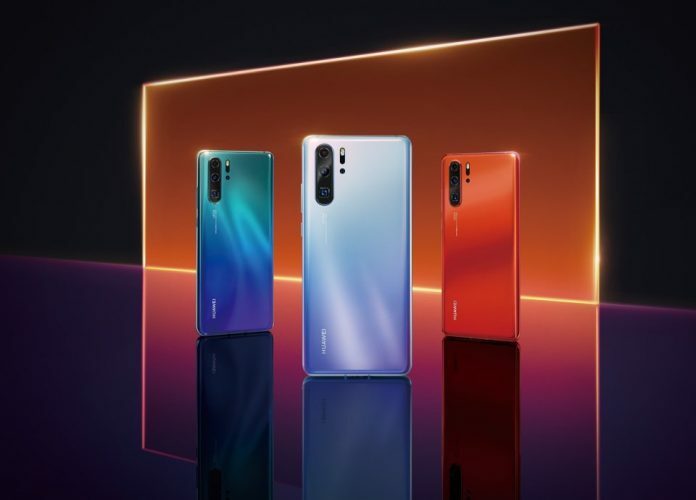 The Huawei P30 Pro is powered by Huawei’s in-house Kirin 980 SoC with NPU which coupled with 8GB of RAM and 128/256 and 512GB of onboard storage to choose from. The main highlight of the Huawei P30 Pro has to be the camera. The device houses a quad-camera setup with a 40MP “SuperSpectrum” sensor, a wide 20MP wide angle lens, an 8MP Super zoom lens which allows up to 10x hybrid zoom and up to 50x digital zoom which has got the community by surprise, you’ll be too when you take a look at how the camera maintains the quality even upon zooming into the object at 50x. The Hybrid Zoom is the company’s old camera tech which uses dual cameras to mix the data from both the camera set at a focal length in order to rebuild the details while the user is zooming in on to the object, this helps in maintaining the quality of the picture and helps it not to stretch out. The Huawei P30 Pro is backed by a 4200mAh battery with 40W fast charging. 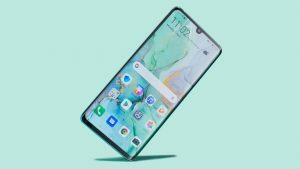 The device runs on Android Pie with EMUI 9.1 on top. The Chinese company launched the Huawei P30 Lite alongside the Pro variant. The device comes with a triple camera setup which includes a 24MP primary sensor, an 8MPwide-angle lens, and a 2MP Depth sensor. The device features a 6.15inch LCD display with an aspect ratio of 19:5:9. Under the hood, the device is powered by Kirin 710 SoC coupled with 4GB/6GB RAM and 128GB internal storage. The device runs on the same EMUI 9.1 as the P30 Pro. The device is backed by a 3,340mAh battery which supports 18W Quick charge over a USB Type-C port. The Huawei P30 Pro will be available on Amazon.in starting from April 16 at 12 AM with a price tag of INR 71,990 for the 8GB/256GB variant. The device will be available in Aurora and Breathing Crystal colors with the black variant following the two in a later stage.